Jack Kornfield. Photo by Robert Vente. 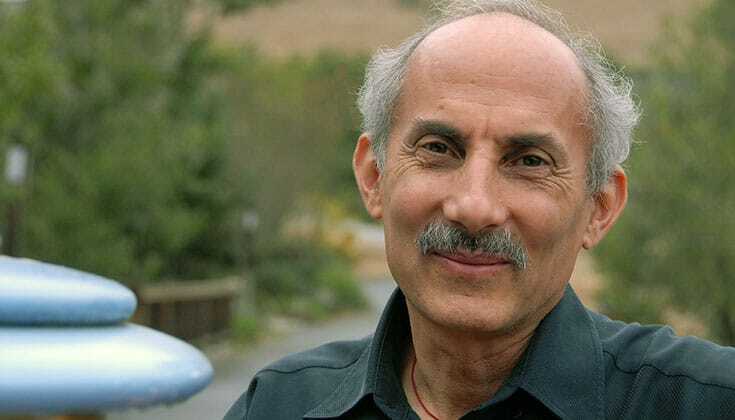 Jack Kornfield is one of today’s most influential spiritual teachers. As a Buddhist monk-turned-psychologist, his skilled integration of modern psychology into timeless Buddhist teachings has helped people around the world heal their hearts and minds. His unique teaching style, which includes deeply personal anecdotes, illuminates the value of Buddhist teachings for individuals today. As a founder of both the Insight Meditation Society and Spirit Rock Meditation Center, Kornfield has helped put two of America’s most important Buddhist centers on the map. Many of his teachings, conversations, and commentaries have been published in Lion’s Roar and Buddhadharma: The Practitioner’s Quarterly. Read below for select favorites and to learn about Kornfield’s life and work. 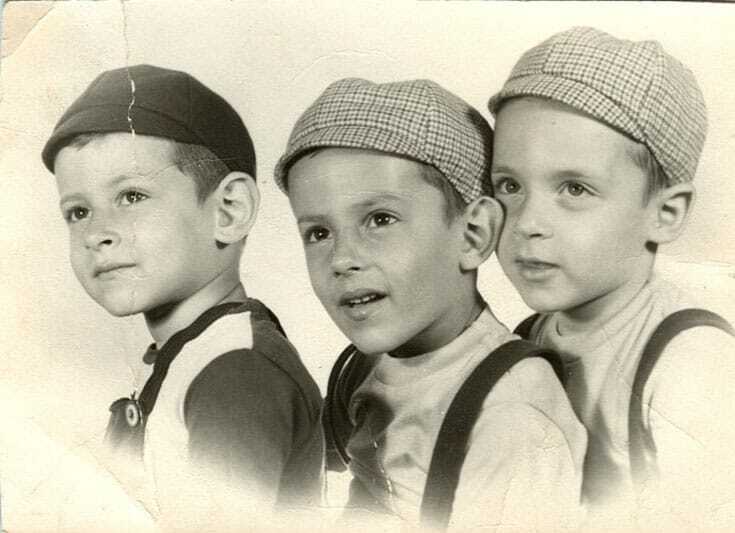 Jack Kornfield was born July 16, 1945 as a fraternal twin to a family of four boys. Kornfield experienced difficulty early in life at the hands of his father, a “workaholic scientist,” who Kornfield has described as paranoid, violent, and abusive. “When he was most abusive,” Kornfield writes in his book No Time Like the Present, “I would run away, and my mother hid bottles behind the curtains in every room so she could reach for one to defend against his blows.” Watching his father in childhood, Kornfield became determined not to be like him, and to instead be a peacemaker. 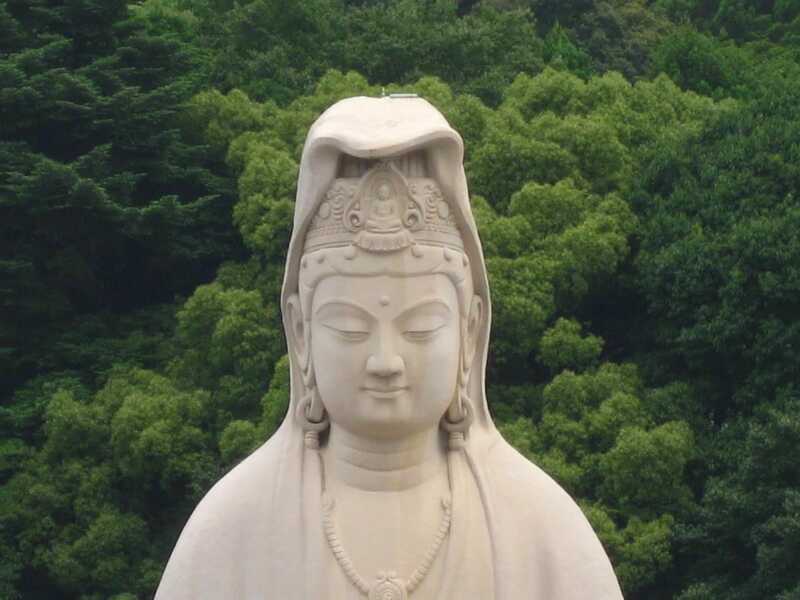 Kornfield attended Dartmouth College in New Hampshire, where he majored in Asian Studies and became drawn to Buddhism. He graduated in 1967 and joined the Peace Corps in the midst of the Vietnam War, requesting to be sent to a Buddhist country. Kornfield was assigned to the Mekong River Valley in rural Thailand, working in tropical medicine. 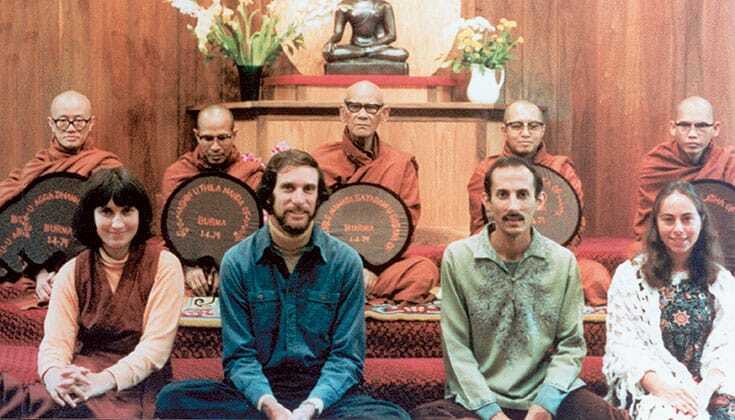 Jack Kornfield’s ordination in 1969. Photo courtesy of the Spirit Rock Archives. 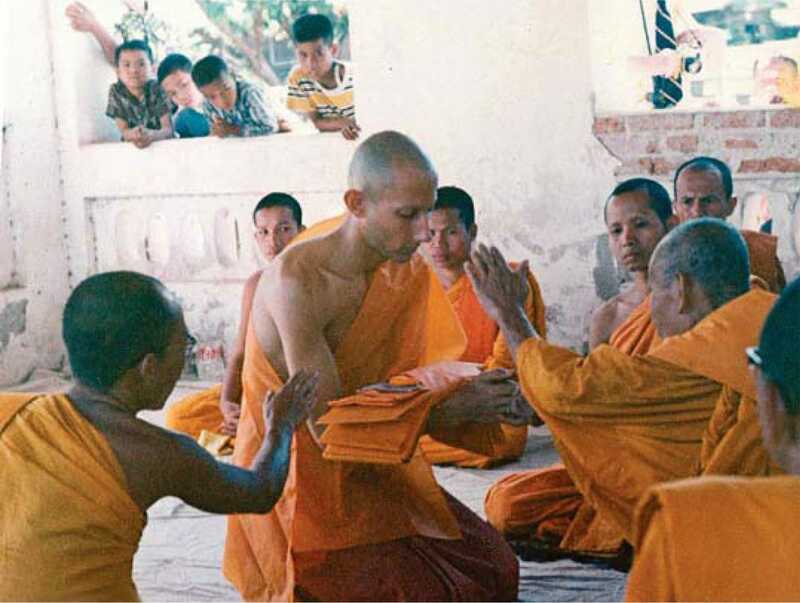 When his time with the Peace Corps was over, Kornfield decided to stay in Thailand and devote himself to the practice of Buddhism. Left with anger and grief from his difficult childhood, he wanted to see that it was possible to simply be with himself. Kornfield made his way to Ajahn Chah’s monastery, Wat Nong Pah Pong, and entered monastic life under Chah’s guidance. There, he has said, he really learned compassion. 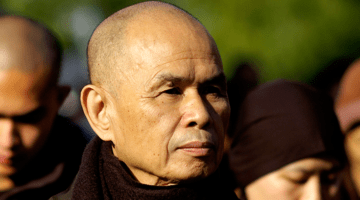 Kornfield later practiced with Mahasi Sayadaw, whose practice and teachings were quite different from Ajahn Chah’s. These two Theravada masters, Kornfield has said, were his most influential teachers. Kornfield returned to the United States in 1972, and struggled to maintain his life as a Thai monk living at his mother’s house in Washington, D.C. As Steve Silberman writes in “Wise Heart: A profile of Jack Kornfield,” Kornfield’s refusal to handle any money and doing alms rounds in the city soon became “awkward.” His life as a monk in the West with no monastery to support him soon became unsustainable. He disrobed in an emotional ceremony at a Japanese temple on display at the Museum of Fine Arts in Boston with the help of a museum curator. In 1974, Kornfield became a founding faculty member at Naropa University. At a party, he met Chögyam Trungpa Rinpoche, who asked Kornfield to teach a Vipassana course at his new school’s first summer session. 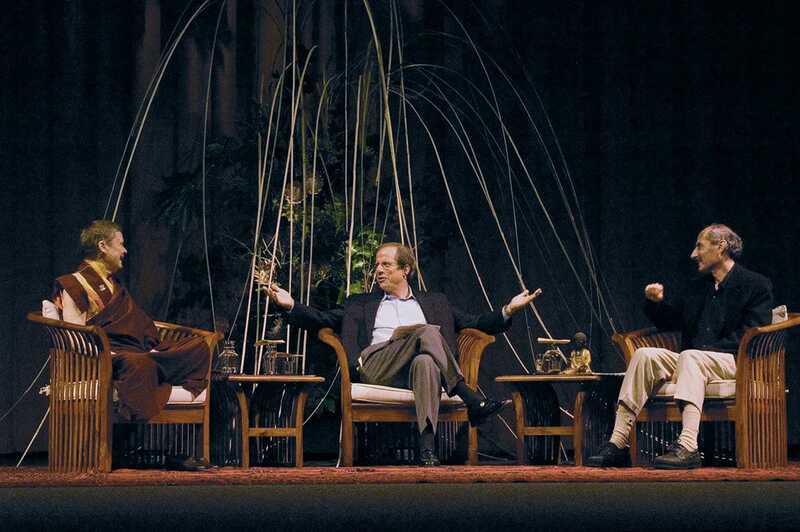 Kornfield began teaching Vipassana alongside Joseph Goldstein, and the two formed a deep bond. 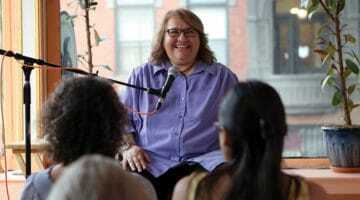 Buddhist teacher Sharon Salzberg was also teaching at Naropa at the time, and the three teachers began plans for their own center for intensive Buddhist practice. 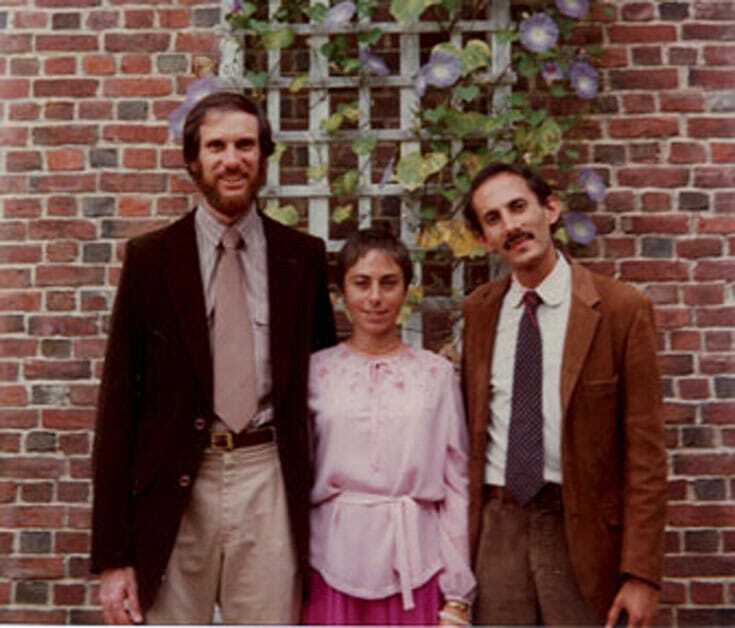 In 1974, Kornfield, Salzberg, Goldstein, and Jacqueline Mandell-Schwartz purchased a former Catholic monastery on eighty acres of land in Barre, Massachusetts, and founded the Insight Meditation Society (IMS), which has gone on to become on of American Buddhism’s most important institutions. While teaching at IMS, Kornfield began to draw insights from Western psychology as an accompaniment to Buddhist teachings he was. In 1977, he earned a Ph.D. in clinical psychology from Saybrook University. IMS first held meditation retreats on the West Coast in 1974, and the West Coast sangha quickly began to grow. 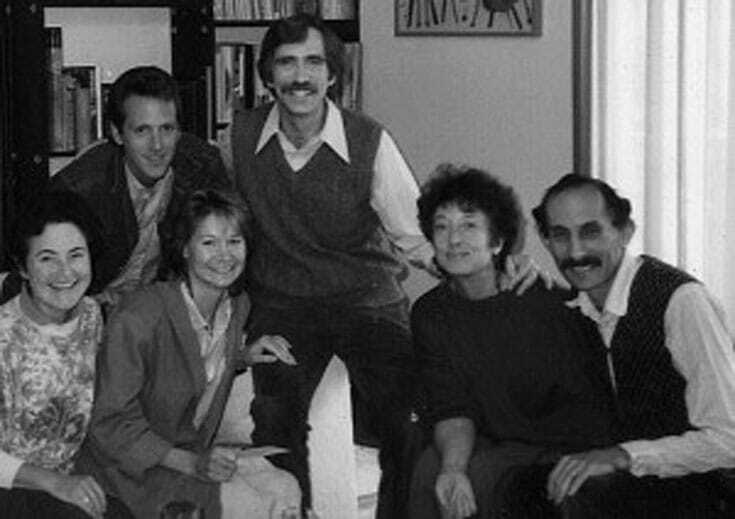 Three years later, in 1977, Kornfield, alongside Sylvia Boorstein, Anna Douglas, Howard Cohn, and James Baraz, founded the Dharma Foundation, with the intent of sponsoring more West Coast retreats and Monday-night sitting groups. Kornfield met Liana Chenoweth, an artist, in 1978, and the two fell in love. The couple moved to the Bay Area, and were married in 1984. Their daughter Caroline was born that fall. Kornfield was giving Monday-night talks around Marin County at this time, and the community continued to grow, while in search of a permanent home. After almost 30 years of marriage, Kornfield and his wife, Liana, divorced, a subject Kornfield has touched on in many of his dharma talks since. 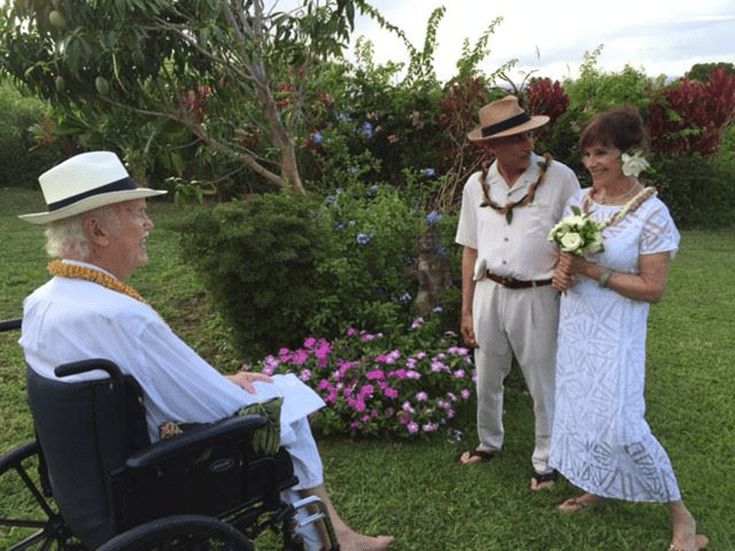 In 2016, he married fellow dharma teacher, Trudy Goodman, in Maui, Hawaii. 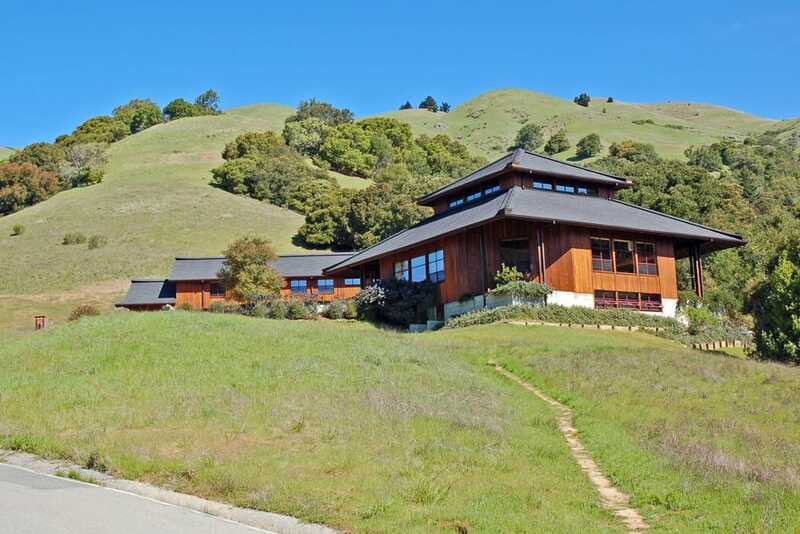 Kornfield continues to lead talks and retreats at Spirit Rock, and around the world. He has authored more than a dozen books that have been translated into 20 languages and sold over a million copies. Kornfield maintains an active podcast of dharma talks and a social-media presence with a large following. His most recent book, No Time Like The Present, came out in May 2017. 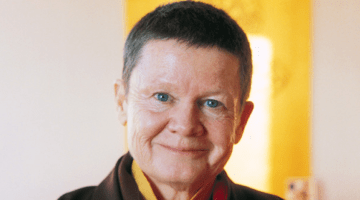 Kornfield has written for a number of publications, including Buddhadharma: The Practitioner’s Quarterly, Lion’s Roar, Tricycle, and Mindful, and continues to inspire a worldwide audience with his skillful integration of Western psychology into Buddhist teachings. You are consciousness incarnated in the human body, but not limited by it. Consciousness is the clear space of knowing, as vast as the open sky. Rest in consciousness, in loving awareness. Let vastness be your home. The very diversity of views, schools, and teachings is Buddhism’s health, keeping it vital and true. When we honor the gate of suffering, what arises is the wondrous power of compassion. Gratitude is a gracious acknowledgement of all that sustains us, a bow to our blessings, great and small. Gratitude is the confidence in life itself. In it, we feel how the same forces that pushes grass through cracks in the sidewalk invigorates our own life. Mindfulness/awareness was the meditation the Buddha practiced and taught—it was his basic prescription for human suffering. Looking at life with an open and nonjudgmental attention, we see our confusion and develop insight. This is the basis of all Buddhist practice and the key to liberation. 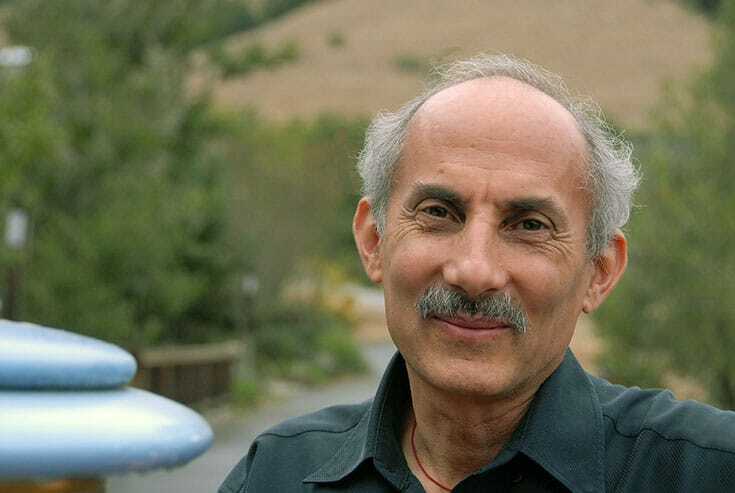 Jack Kornfield explains. “This is your world. Plant seeds of goodness and water them everywhere. “With peacefulness and mutual respect, our Buddhist communities can become centers of protection and vision. Jack follows “Practicing the Dharma Uncertain Times” with a second, more action-oriented installment of post-election guidance and encouragement. 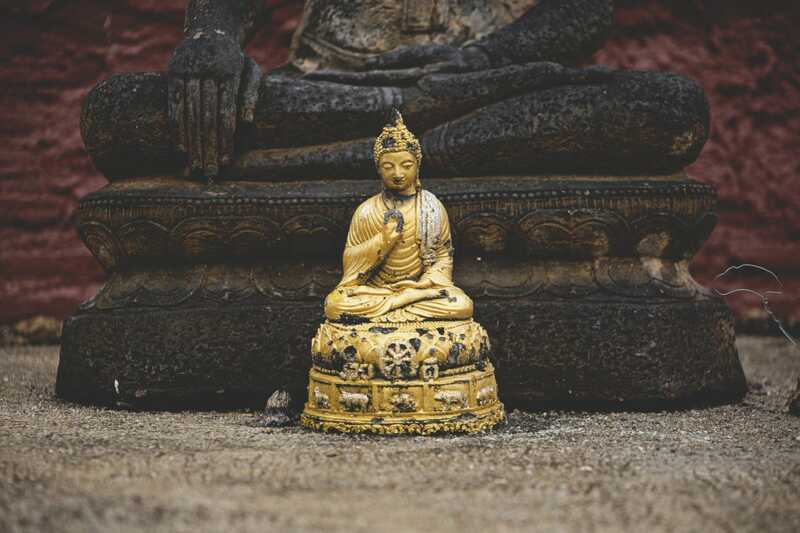 Jack Kornfield, Judy Lief, and Harvey Aronson discuss what psychology and Buddhism share, and how they differ. Who Will Teach the Dharma? A panel discussion with Dzogchen Ponlop Rinpoche, Jack Kornfield, Yvonne Rand, Ajahn Amaro, and Richard Shrobe. 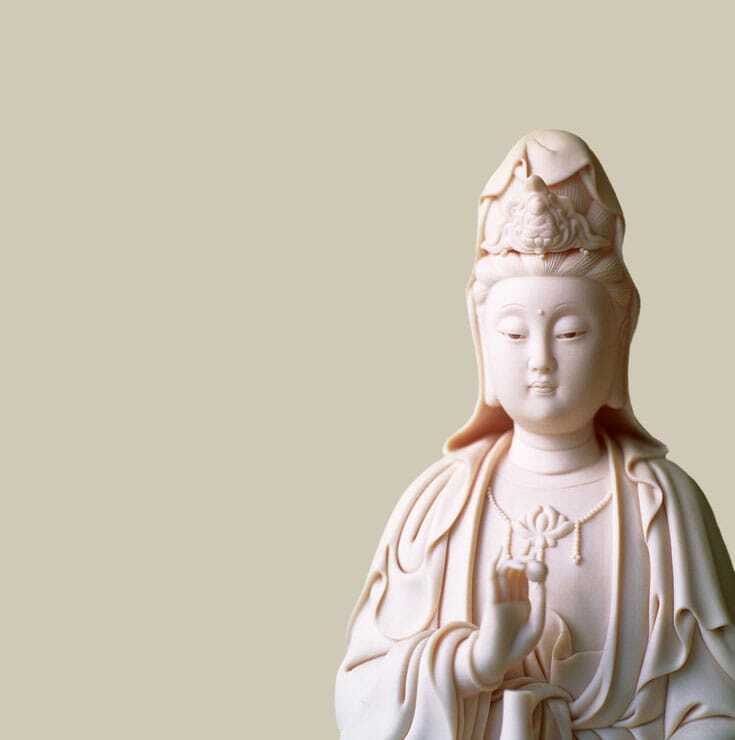 Jack Kornfield, Judy Lief, and Bodhin Kjolhede examine the influence of Western psychology on Buddhism. A Lamp in the Darkness, which includes a CD, will be especially appealing to readers who are dealing with difficult situations. according to Kornfield, we each have “one who knows,” a witnessing consciousness that is calm, clear, and accepting, even in the face of illness, loss, or depression. the meditations and teachings in A Lamp in the Darkness will help readers begin to trust this life force and thereby trans- form their difficulties. 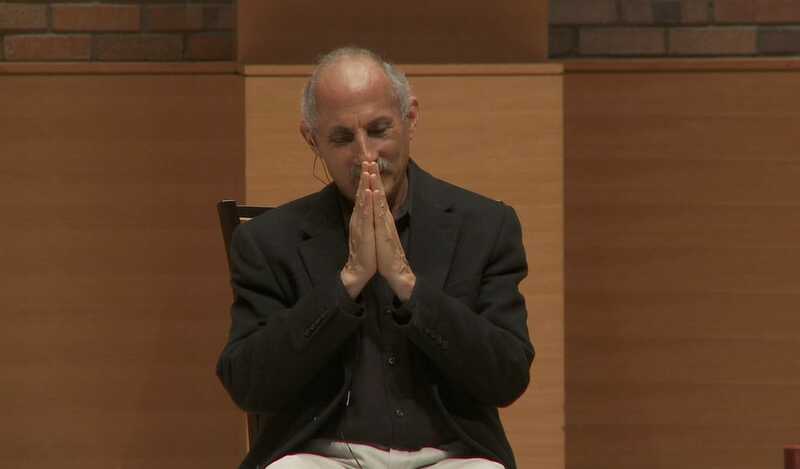 According to Jack Kornfield, enlightenment does exist — and it’s actually pretty common. The rub is that after achieving it, day-to-day tasks and troubles still await you. After the Ecstasy, the Laundry is a guide to translating our spiritual awakenings into our imperfect lives, full of personal anecdotes from dedicated practitioners of different faiths.